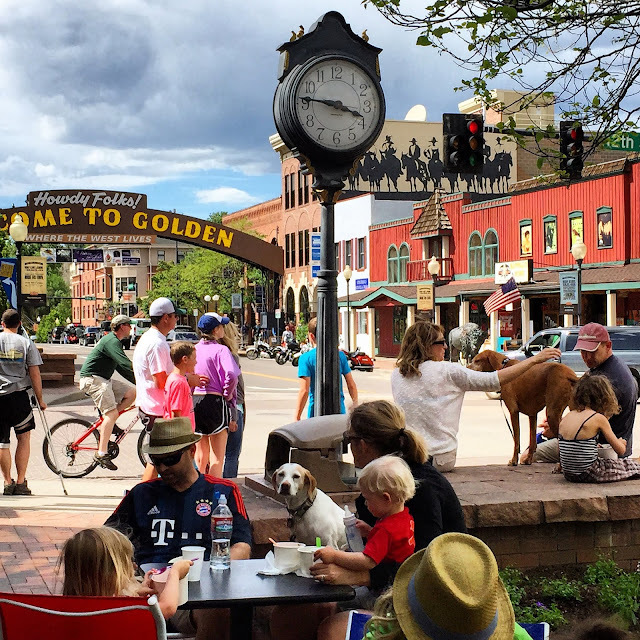 There’s no better place to spend “national beer day” than in the little town that produces more beer than anywhere else in the world, Golden, Colorado. This historic mountain town along the banks of Clear Creek, just 12 miles west of Denver, makes on average a staggering 11.8 million bottles of beer a day. That’s because Coors Brewery -- the world’s largest single site brewery – has been making beer here since 1872. That’s when German brewer Adolph Coors was hiking along Clear Creek and found some nearby natural springs and decided to open a brewery. 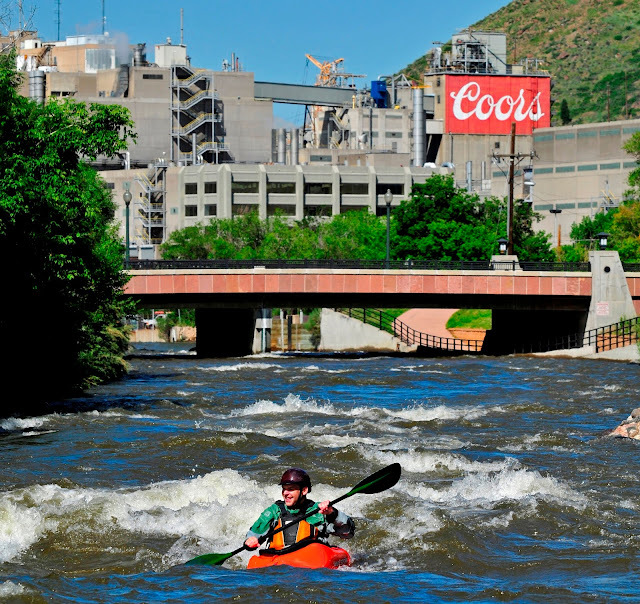 Today, Coors uses that same Rocky Mountain spring water to produce 13 million barrels of beer a year. That translates into 4.3 billion bottles – or about 221,000 bottles of beer for every resident in Golden. And Coors isn’t the only brewery in town. There are five other award-winning craft breweries, as well as two distilleries. The legendary Western scout and showman, Buffalo Bill Cody, would be so proud. Buffalo Bill was known to have a fondness for beer and alcohol, and today his grave on top of Lookout Mountain overlooks Coors and the pretty town of Golden down below. But there’s more to do in Golden than stop and smell the hops. 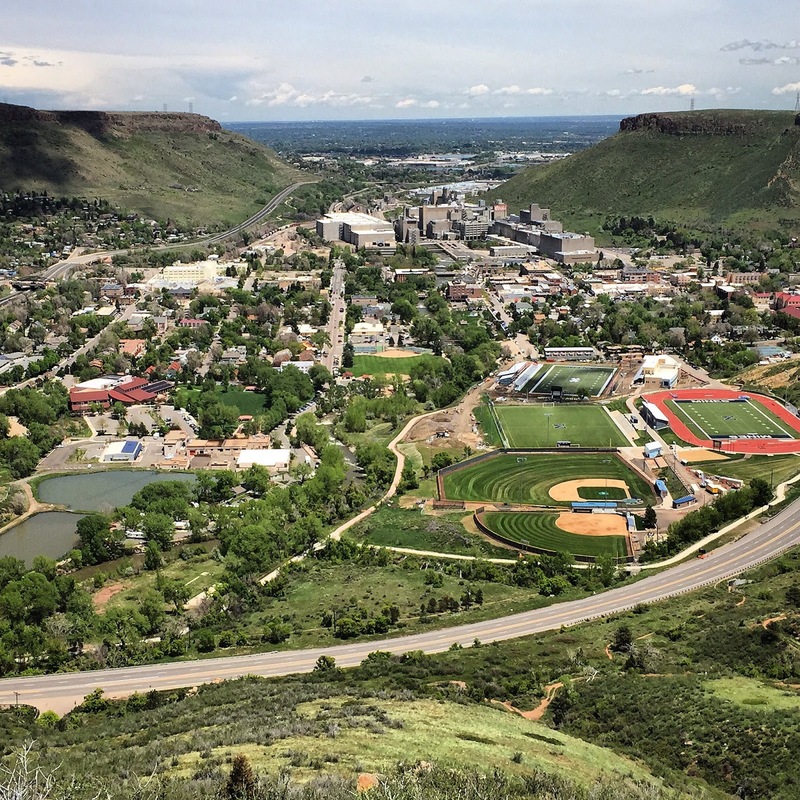 The quaint Western-looking town, is a major recreation center known for biking, hiking, rock climbing, fly fishing, and kayaking, and is just minutes from the world famous Red Rocks Amphitheatre. 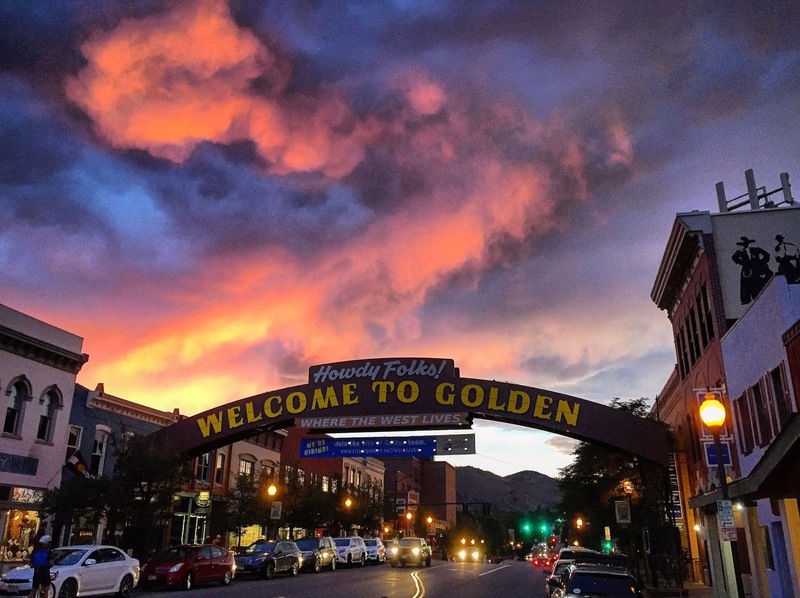 The first T-Rex and many other dinosaurs were discovered here and Golden is also home to America’s only mountaineering museum and Colorado’s largest narrow gauge railroad collection. And of course, the “Wild West” lives again at the Buffalo Bill Museum. FIRST – WHAT IS NATIONAL BEER DAY? Since 2009, National Beer Day has been celebrated on April 7, marking the day that the Cullen-Harrison Act went into effect in 1933, ending prohibition for the production of beer. 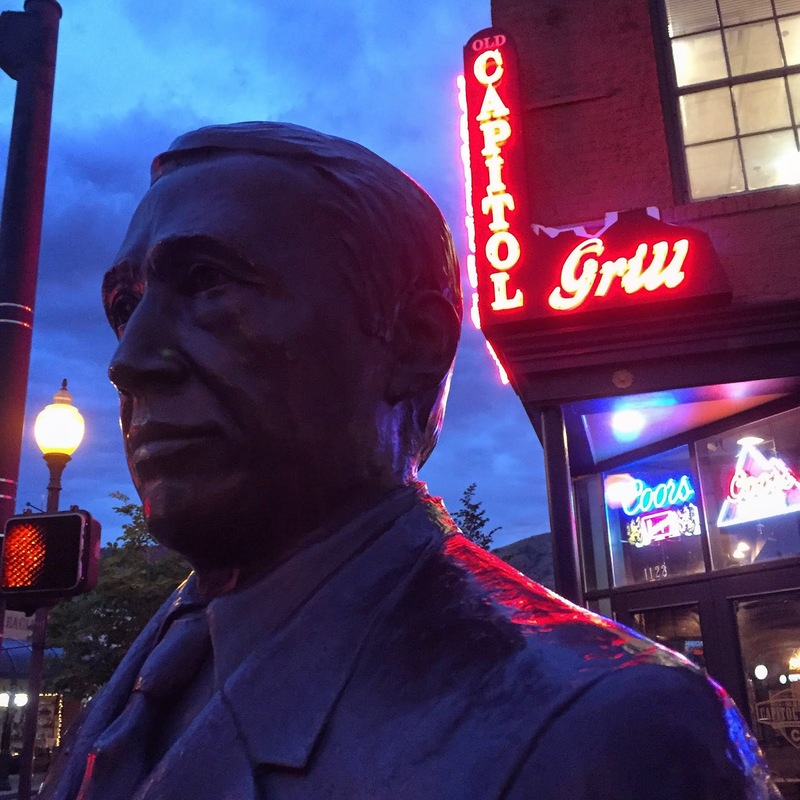 Upon signing the legislation, Roosevelt said, "I think this would be a good time for a beer." The act eventually led to the Eighteenth Amendment being repealed on December 5, 1933, with ratification of the Twenty-first Amendment to the U.S. Constitution. April 6, the day prior to National Beer Day, is known as New Beer's Eve. In 2019, New Beer’s Eve and National Beer Day fall on a Saturday-Sunday, making it a perfect time to celebrate man’s oldest food. Well, of course you have to start here. The brewery has a 30-minute, self-paced tour of the malting, brewing and packaging of Coors Beer. http://www.millercoors.com/Brewery-Tours/Golden-Brewery-Tour.aspx You get to explore a room of giant copper kettles and then stop in the packaging room, where thousands of cans and bottles whirl by, marching one-by-one on tread mills to be filled with beer and slotted into six packs. After the tour, those 21 and over can sample three free glasses of beer. If you already know how beer is made, ask for the “short tour,” which is no tour at all. They’ll direct you straight to the free tasting room and gift shop. Tours are $5 for Colorado residents and $10 for out-of-state visitors and include three free beers and a free souvenir glass. 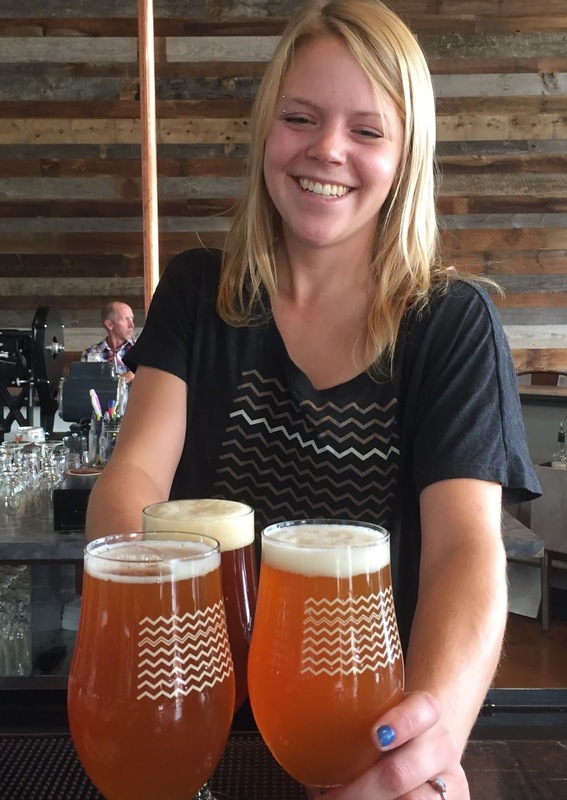 The way to drink at the five craft breweries in Golden is by ordering a tray of samplers – usually six different four-ounce beers that let you taste a variety of handmade brews, from lagers and pale ales to India Pale Ales, porters, stouts and sours. Golden City Brewery was founded in 1993 by two geologists, Charlie and Janine Sturdavant. The unusual thing was they founded the brewery in their own house. The beer garden is their backyard. In winter there’s always an outdoor fire; in summer, there are often musicians playing. Order a beer through the Dutch door of the carriage house, find a table, and relax in Charlie and Janine’s backyard (they still live here). Their specialty is the Clear Creek Gold Pale Ale, an award-winning, traditional German Kolschbier hopped with Czech Saaz for a pleasant floral finish. Barrels & Bottles is a friendly brewery that believes in equality: there are 24 craft beers on tap (a half dozen of their own and great guest beers from across the country) and just to be equal, 24 tap wines. If you’re not familiar with tap wines, it’s a growing trend and the freshest way to enjoy wine right from the barrel, including wines produced in Colorado. Barrels & Bottles has one of only four beer infusion machines in the nation (one of only two in Colorado). These science fiction looking machines add tasty flavors like coffee or chocolate to beer, after it’s been brewed. Stop by and say hi to the owner’s two dogs and warm up with a Hint of Mint Brown Porter, a complex, malty dark beer with a lightly burnt character. 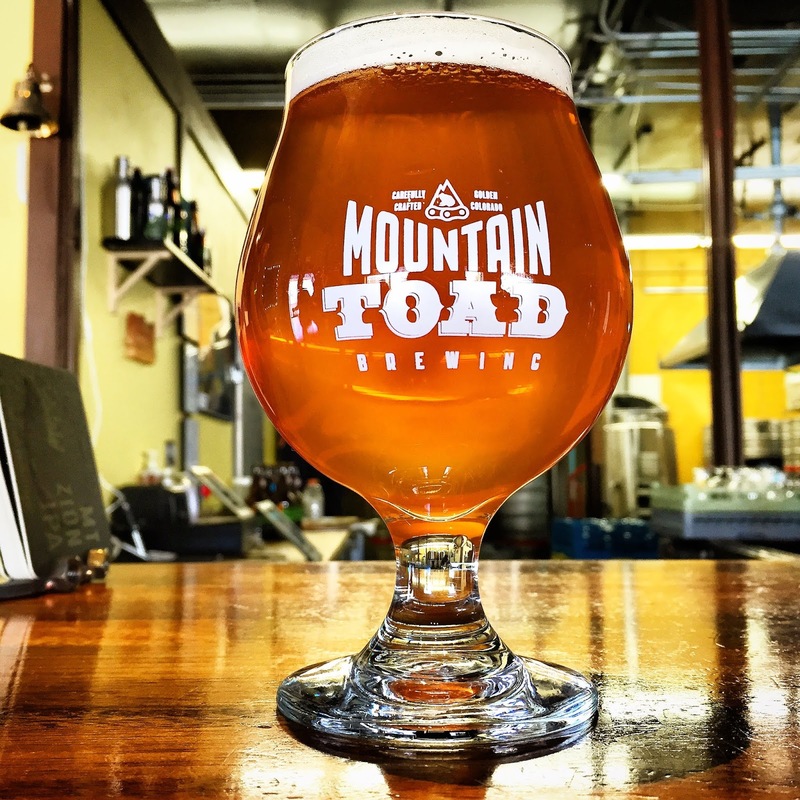 · MountainToad is the quintessential Colorado brewery with big windows that open to the outdoors, an outdoor patio with food trucks, a beer garden, and 6-12 craft beers on tap. Check out the chalkboard to see what beers have been added to the menu. Dogs are always welcome and mingle with guests on the large tree-shaded patio, which is filled with picnic tables. 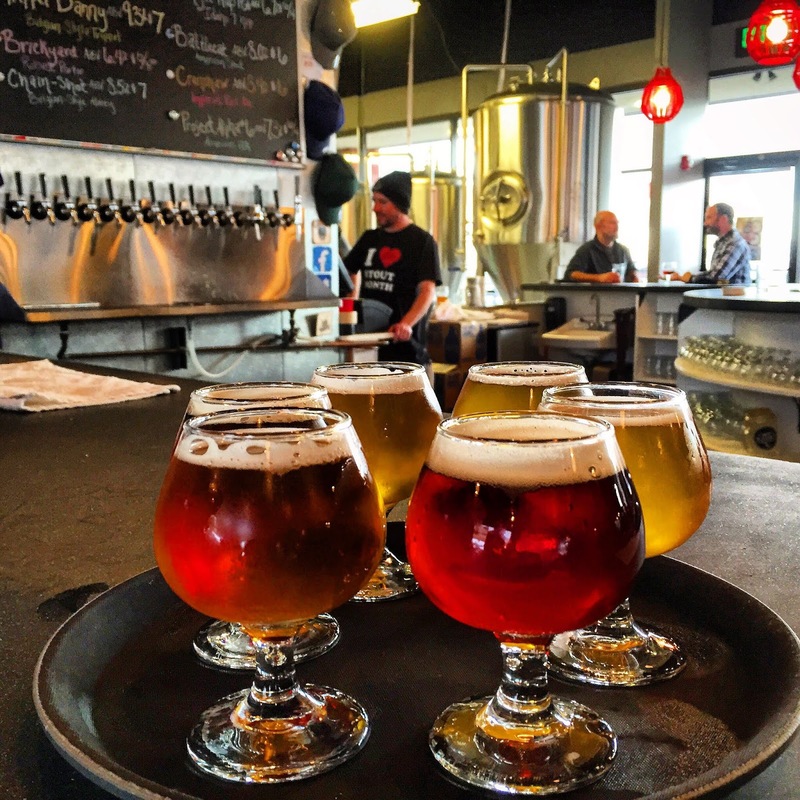 · CannonballCreek Brewing In its first year, this young brewery took two prestigious silver medals at the Great American Beer Festival, and in 2016 they were the only Colorado brewery to win two gold medals, winning another gold in 2018. They usually have between 6-12 craft beers on tap, as well as offering gorgeous views of the buttes and mountains surrounding Golden. New Terrain. Located high on the east side of North Table Mountain with views down into Clear Creek Valley, the brewery, like its name says, is exploring new ways to make traditional beers. Their motto is not, “this is how it is done,” but rather, “what if we try it this way?” Couldn’t be more fitting, because among the many things you can see from their outdoor patio is massive and traditional Coors Brewery in the valley below. 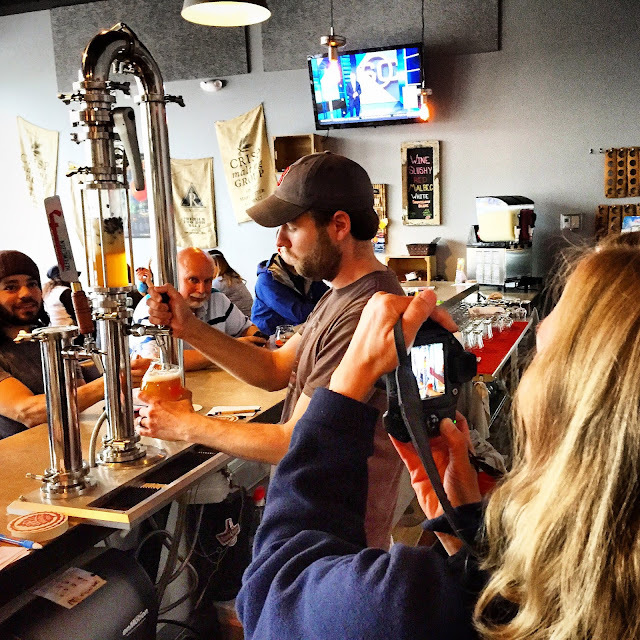 · Holidaily This one-of-a-kind brewery is dedicated to making delicious tasting gluten-free beers. Try a Buckwit Belgian, a thirst quenching light brew with a mix of coriander and orange peel. Or let your hair down with a Ponytail Pale Ale – a single hop variety pale ale brewed specially for Collaboration Fest 2017. A recent study found that the average person walks 900 miles a year...and drinks 22 gallons of beer. That makes 41 miles of walking to the gallon -- not bad at all. For people who love beer and travel and (wisely) don't want to drive, these articles explore how to get around by using public transportation, bikes and your own two feet...with great suggested pubs to stop at along the way. We'll explore some of the best cities and countryside for walking, and provide suggestions on the best places to sit and enjoy a beer. And for those who prefer wine? Well, why not? We'll throw in an occasional wine bar or enoteca too. Look through the Table of Contents below for wonderful places to Walk and Drink beer. 7. Boston - Philadelphia - Baltimore -- great historic districts, tall ships, brewpubs, old neighborhood bars, what's not to like? The Society of American Travel Writers (SATW), the world’s largest organization of professional travel journalists and photographers, recently polled its members to come up with the “Top 10” most exciting and scenic train rides in the world. 2. The Glacier Express (www.glacierexpress.ch) is the famous Swiss mountain railway from St. Moritz to Zermatt, a 7.5 hour railway journey that crosses 291 bridges and burrows through 91 tunnels. 3. Durango & Silverton Narrow Gauge Railroad (www.durangotrain.com) winds through rugged canyons in the remote wilderness of Colorado’s two-million-acre San Juan National Forest. The narrow-gauge train is pulled by a coal-fired, steam-powered locomotive along the same tracks traveled over a century ago by miners, cowboys and settlers of the Old West. 5. Peru Rail, Cusco to Machu Picchu (www.perurail.com), carries passengers on a spectacular journey through the high Andes. There are three levels of service, from backpacker trains to Vistadome cars to the luxurious blue and gold Hiram Bingham train, named in honor of Hiram Bingham, the explorer who discovered the Inca citadel in 1911. 6. The Coastal Classic Train on the Alaska Railroad (www.akrr.com) winds through the wilderness between Anchorage and Seward. Massive glaciers are visible from the track as the train climbs into the Kenai Mountains and travels to the shores of Resurrection Bay for convenient connection to Kenai Fjords National Park, offering whale watching, sea kayaking, tidewater glacier viewing, fishing, and dog sled rides. 8. The Whistler Mountaineer (www.whistlermountaineer.com) in Canada is a three-hour ride along the magnificent coast of British Columbia, from Vancouver to Whistler, famous for its views of cities, old-growth forests, deep valleys, snowcapped peaks and seascapes. I never took a ferry I didn’t like. A cruise is just sailing around in circles…but when you’re on a ferry, you’re going somewhere. Usually you’re traveling with locals rather than tourists – and you’re doing it at bargain rates – sometimes even free. I’ve hopped a ferry in Bangkok on the Chao Phraya River with a dozen monks in orange robes; one of them was drinking a beer. My brother and I took one ferry after another in Istanbul, not carrying where they went. Of course, eventually we got stuck and had to take a bus back to town, but it was worth it to drink 15 cent Turkish tea on the top deck, sailing back and forth between Asia and Europe. My niece works for Eurostar and the Chunnel is great, I suppose, but I feel sorry for anyone who will never take a ferry across the English Channel and see the White Cliffs of Dover from the sea. I’ve sailed ferries through the British Virgin Islands, from Tortola to Virgin Gorda for just a couple of bucks, and hung out at the dock on Harbour Island, the Bahamas, waiting for ferry to arrive – the big event of the day. Ferries offer a glimpse of history. I’ve taken White’s Ferry across the Potomac where Lee crossed when he marched to Antietam, and crossed the Mississippi at Ste. Genevieve, St. Francisville and Algiers…places Mark Twain would have known. And the boats? Well, nothing can top the black, barracuda-like Vaporetto that ferries the canals of Venice, or the little one-car ferry we took in the Blue Mountains of Australia, or crossing 26-hours from Puerto Vallarta to Cabo San Lucas in a boat full of chickens and roosters. The Society of American Travel Writers – the largest organization of professional travel writers and photographers – recently polled their members to come up with the best scenic ferry rides in the world. Here are their choices with comments from some of the members. For more information on the Society of American Travel Writers, visit http://www.satw.org/. As Shakespeare would put it, "We few, we happy few, we band of brothers." If you like beer, walking and travel, sign up!